This is definitely a Kate Spain month on my blog! The first designer fabric I ever bought was a Charm pack of Central Park, closely followed by two charm packs of Good Fortune. I completely fell in love with the colours and the prettiness of the fabric. Two years later I have finally managed to complete a quilt with the Central Park fabric, and a Good Fortune quilt will hopefully follow closely behind! The pattern is the Baby Lattice Quilt by Amy Smart, although I added the extra white borders to make the quilt a bit bigger. I machine quilted diagonally along the strips using white Aurifil 50wt thread. I love the pattern it gives, although it was my first experience of having to bury so many thread ends which I didn't enjoy so much! For backing I used a fabric I picked up a couple of years ago in Spotlight which matches perfectly, and the icing on the cake is definitely the Kona Cerise binding - what an amazing colour! This quilt will be an early Christmas present for one of my nieces. 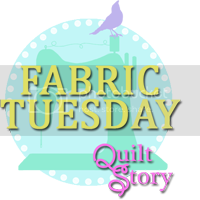 Linking up with Sew Cute Tuesday, Fabric Tuesday and Ho ho ho and on we sew. This is also my April Finish for ALYOF (original post here) and my third finish for Q2 FAL 2014. Lucky niece, it turned out lovely. congrats on a finish. I have a FQB of Cusco and 2 charm packs of Good Fortune in my stash waiting for me too! wow, love it!! and love the white background that really makes the charm squares pop!! I love Central Park -- it's one of those lines that I simply must buy whenever I find it. your quilt looks great. Oh, brilliant! Fantastic use of the fabric and I love it with the wider borders. The binding is the icing on the cake! Very nice! I have used that tutorial in the past and really liked it. I love the white sashing and the white borders. Allows the charms to really pop. Totally love those fabrics! Well done for getting ahead on Christmas...!! So lovely Deborah! I've used several of Kate Spain's lines and I think I love all of them. I love the squares set on point and the white background really shows off the colours. I LOVE Kate Spain fabrics too and I'm just starting a quilt with Sunnyside. What a beautiful quilt! I love the colour of the binding - a perfect choice. Your niece will be over the moon to receive this I imagine. Woohoo, what a great finish! It's wonderful, so fresh and springy. 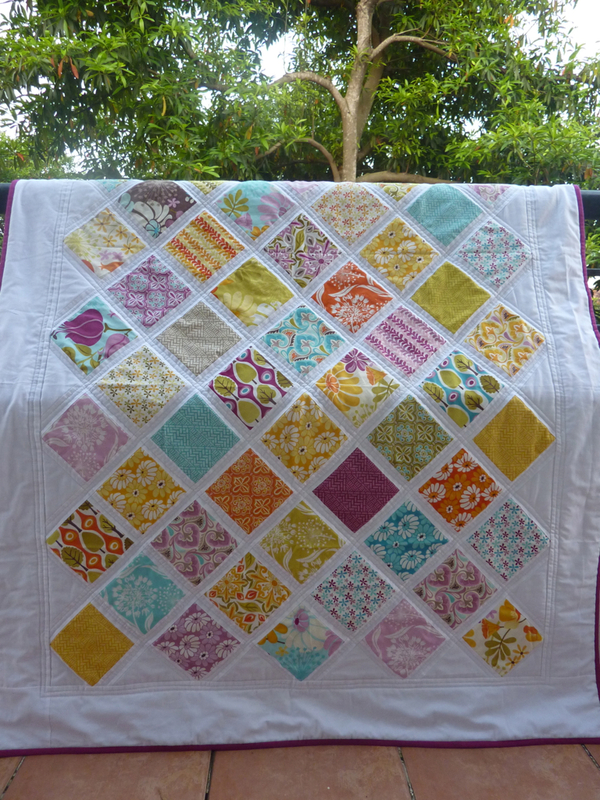 Your quilting really shows off the squares of featured fabrics. So pretty, Deborah! I haven't ever seen the cerise in person but it looks perfect as the binding on this quilt. 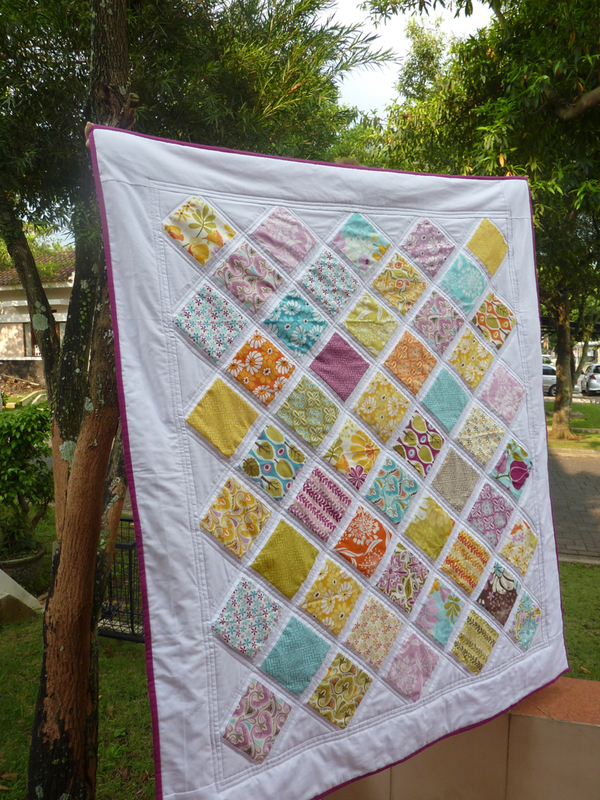 Beautiful quilt and great job choosing the perfect binding! A beautiful finish Deborah. I have some pieces of Central Park lurking in my cupboard too. Lovely binging choice. Beautiful finish! and that binding is to die for! 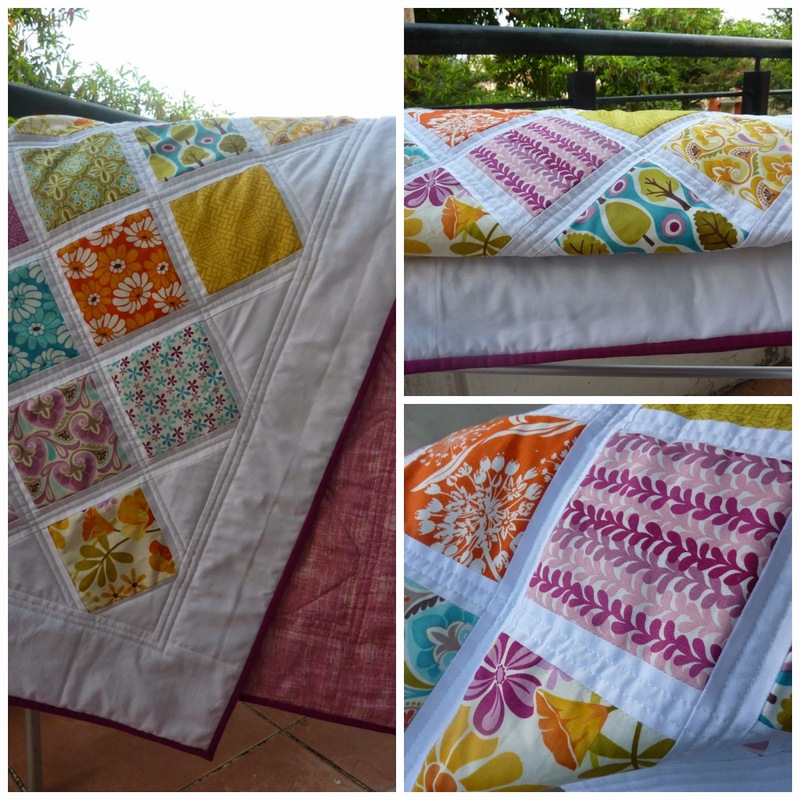 Gorgeous quilt Deborah, the binding is definitely the icing on a lovely cake! Your niece is one lucky girl. 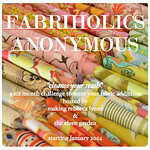 Thanks for linking up to Ho,Ho,Ho and on We Sew too. Just fantastic! I am pretty sure I'm going to shamelessly copy this for a charm pack I have lurking in the cupboard. Very pretty! I loved this line too and made a quilt with a layer cake ages ago now--I still really love it...it's here if you want to take a peek http://duringquiettime.com/2011/05/picnic-on-central-park-quilt-complete.html. Oh, how beautiful. love the extra white border and the binding is the cherry on top of the cake: perfect! Seriously love this quilt. I thought I had made this pattern by Amy Smart also, but turns out it was only on my to-do list. Sigh!